Why Certify? We work hard everyday for our clients' happiness and success by helping them transform the way they manage travel and expenses. And we play hard, too, with a fast-paced yet casual atmosphere that's fun and rewarding in more ways than one. 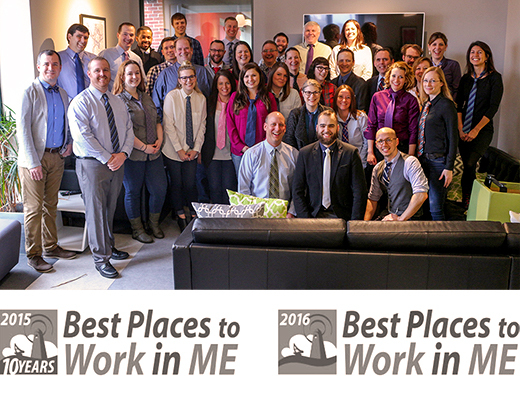 Explore your career options with Certify now and find out why we're one of Maine's Best Places to Work. Our aim is simple: create the best, most efficient travel and entertainment expense management software available anywhere, and have a lot of fun in the process. Build your future with Certify in sales, marketing, product development, support, implementation, administration and more. Happy employees mean happy customers. That's why we're focused on building a great team in and out of the office. We offer paid professional development and volunteer time, because achievement means more than career success. Certify is committed to growth, both for business performance and the progress of every individual employee. All full-time employees are offered 100% paid medical, dental, vision, disability, and life insurance with 90% paid for families and dependents. 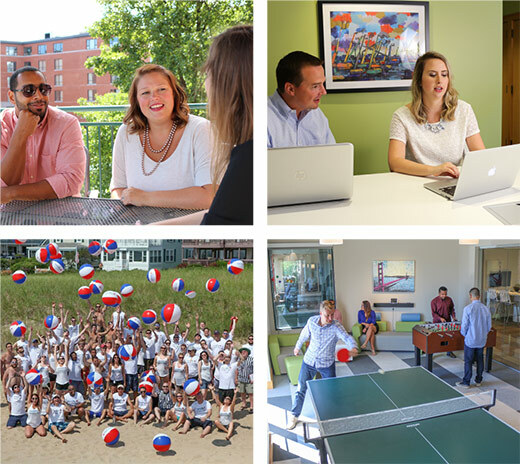 To support employee life outside of the office, Certify offers generous PTO, plus calendar holidays, quarterly floating holidays, partially paid paternal leave and more. We support employee growth through paid continuing education opportunities, career advancement and job transfers from within. Employees can volunteer up to four hours per month with the local non-profit and community organizations of their choice. There's an unending supply of snacks and drinks to keep employees fueled throughout the day. Plus happy hours, bagel Fridays, impromptu BBQs, kickball and 5k races, bake-offs, foosball and ping-pong, and numerous team celebrations throughout the year. If Certify sounds like the kind of place you'd like to be, check out our available career opportunities now.